Over 20 years experience in Concert, Theatrical and Corporate Tour Management. I’ve spent well over 20 years in live entertainment. As a Tour Manager and Road Manager, I’ve managed numerous domestic and international concert tours. As a Tour Company Manager, I’ve done several North American theatrical tours and run-outs. I’ve also handled artist performances at all major industry televised events (Grammys, AMAs, VMAs, WMAs, HBO Specials, etc.) and special events (Super Bowl, Olympics, FIFA World Cup, etc.). Combine all that with corporate tours, and it’s been a busy career. Experience has shown something very important. No two events are exactly the same. Of course, a Tour Manager has to be experienced and knowledgeable. But, in today’s live music industry, they also have to be able to take an objective view. This will provide the best road to success for their tour, event, etc. Also, what used to be “nickels and dimes” is now “nickels and dimes add up to dollars”. Everything has to be scrutinized, to make sure the client is getting the most for their money. 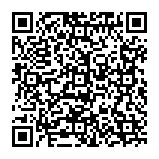 Scan this image with the QR scanner on your iphone, or android device to add me to your contacts list. From the Blue Note in NYC, to the Olympic Sport Center Stadium in Beijing (and everything in between), with a number of different tours. Two family friendly musical tours with Feld Entertainment, producers of the Disney Live! and Disney on Ice shows. Corporate sponsored promotional tours, including my most recent corporate project that went to the dogs ... Literally!